The concept did not work for me. I loved the beginning and the intriguing flash forwards. 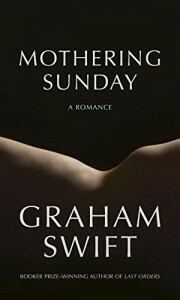 The period was well drawn and the charcters skillfully and slowly fleshed out.There was suspense and a feeling of impending doom but then Mothering Sunday just petered out like an old balloon.